The dreaded let down game curse once again affixed its steely grasp upon the hopes and dreams of the Baltimore faithful. What could have been, is no more. Will the Ravens right the ship? Will Cam Cameron learn how to manage a game that isn’t a blowout? Will the Scab Refs decide that they want to join the big boy table? With that in mind, let’s take a look at this week’s keys to the game. 1st and 10: Wake the hell up! For whatever reason, there are about three or four games a year where Cam Cameron decides to throw out all notions of common sense and rationality. No matter what the trend of the game, no matter how an individual player is performing, good ole Cam decides to stubbornly stick to his game plan despite overwhelming evidence that suggests a contrary course. Thankfully he rarely does this when the Ravens are playing at home. Maybe it’s something in the water? Either way he will have to get his act together, wake the hell up, and figure out how to effectively manage a game plan that is fluid. If he doesn’t, well then Belicheat is going to eat him alive. Cameron isn’t the only one who has to figure out how to manage a fluid game plan. Dean Pees was absolutely scorched last week by the Philadelphia Eagles. Throughout the course of the game, Pees kept calling heavy doses of press defense despite the fact that Brent Celek, Jeremy Maclin and Michael Vick were absolutely crushing it. The Ravens simply didn’t have the talent to make it work effectively, and it sure as hell showed every time a sea of white jerseys was left open up the middle. 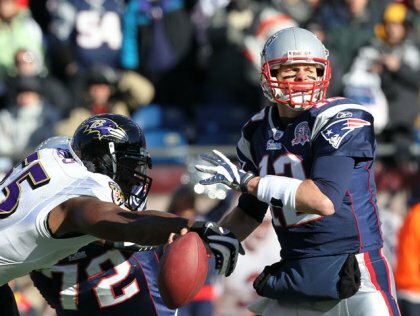 If this happens again, Tom Brady is going to go bananas on the Ravens. Pees has to figure out how to adjust to what is working, and away from what is not working if there is any hope of getting the W.
Everyone in the world knows how to beat Tom Brady by this point in his career. You get in his face, you put him on the ground and you force him to make mistakes. If you can pressure him he will fold like a cheap suit. The Ravens must make pressuring the QB priority one. This is the simplest portion of the game plan, and one which could make or break the game. Ray Rice is one of the premier running backs in the NFL. Ray Rice has a habit of shredding the Patriots defense for massive gains. Ray Rice plays better against the Patriots then almost any other team the Ravens face. For the love of God, please do not ignore the most explosive presence on the field. If the Ravens are going to win, they will need to focus on building a balanced attack. You cannot be all run or ll pass because that is the surest way to find defeat. The Ravens must run effectively and when that is established they must pull the Pats apart through the air. The Scab Refs are brutal. In fact they are beyond brutal. But that being said, the Ravens have got to find a way to use them to their advantage. No more stupid penalties. If the Pats are going to be chippy and start being cheap across the middle, well then start taking dives like Italian Soccer players. Use the piss poor officiating to your advantage. If they are going to call utter nonsense, then make sure they are calling it in your favor by not retaliating with lack of mental focus. Every football game has challenges, but the good teams are the ones who find a way to make those challenges work in their favor. The Patriots are probably the better team right now. I only give Baltimore an advantage here due to their impressive home win record, and the fact that Harbaugh rarely if ever loses consecutive contests. That said I think the patriots win by six. Tough game for Baltimore Sunday night. The Patriots will be plenty motivated after losing at home last week to an inferior team. The Ravens defense must apply pressure to QB Brady and contain TE Gronkowski. The play calling on offense has to get a whole better for the Ravens. The way Baltimore played the second half last week is concerning, they are lucky to be playing at home this week! 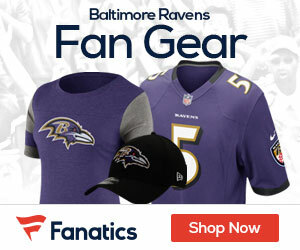 The Ravens return home where they haven’t lost in over a year. The defense continues to go through adjustments with another new Defensive coordinator and that’s the biggest concern to me in this game. Will they be able to slow the Patriots attack and make Brady uncomfortable without Suggs. The Patriot D is big upfront and is tailor made to be carved up in a spread out quick attack. Ravens rebound in prime-time. Ray Rice needs to get the ball on the ground 15-20 times. Joe needs to keep pushing the no-huddle. He also should try something the Patriots may not be prepared for like Ray Rice on a post. The end of this game could be determined by a Justin Tucker FG.